Tasting note: A juicy, boisterous nose of red fruits which defies the lower alcohol level of this wine (12.3%). An elegant and dusty palate featuring characters of raspberry and white pepper. Good fruit definition for a leaner style. Final Say: It’s a far more elegant, restrained style of Aussie Shiraz. $25 a bottle. 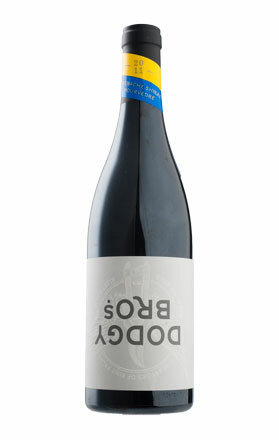 Tasting Note: Whilst produced by an iconic Hunter Valley winery this wine hails from the super trendy region of Orange. More dense and full-bodied than the Hunter Shiraz’. Dark fruits, plum and blackberry with sweet spice and chewy tannins. Final Say: Big and ballsy yet elegant. $40 a bottle. Tasting Note: This wine is like a labourer in a tutu. Yep, that’s right. It straddles the border of elegance and power, which is especially remarkable as 2011 was a tough year for South Australia. A bustling, rich nose consists of cherry, plum and spice. The palate is dense yet velvety with characters of blood plum, pepper, liquorice and blackberry. Final Say: Put this one in the naughty corner (the cellar) for a few years until it learns its lesson (matures). $22.99 a bottle. Overview: Shiraz is planted in just about every wine region in Australia. Why? Well Shiraz would grow in your gutters if you planted it there. It adapts well to different climates and is uniquely expressive of each region it is grown in. Cool climate you gives you blueberry and white pepper characters. Moderate climates give you raspberry and spice and warm climates give you blackberry, black pepper and concentrated fruit. It used to be that the warm climate, South Australian; Shiraz was the work horse of the Australian wine industry. With high alcohol, due to warmer ripening conditions and massive tannins these wines appealed to people who liked to be smashed in the face with flavour. Recently we’ve seen winemakers tone back these wines and are going for a more elegant style. You see, people realized wine is supposed to compliment food whereas this massive styles dominate food, bully that they are. This wine from Henry’s Drive Vignerons is on the cusp, full-bodied with lots of concentrated fruit and liberal oak use but elegant on the finish. Tasting note: Quite oaky on the nose, cedar characters dominate. Subtle scents of menthol and blackberry soon escape the oak overlord. The oak stands out on the palate also, cedar again but the fruit is more expressive on the palate than the nose, blackberry jam and licorice. Full bodied. Final Say: Like a Shiraz with gusto? Give this a try, not a style I would drink all the time but it does have its place within the cellar. You can pick it up for around $20 a bottle. Overview: Finally, a Shiraz has entered Spitting: Optional’s midst. It’s not that I don’t like Shiraz, I quite enjoy it. The reason why I don’t drink a whole lot of it is because Shiraz is, normally, consistently good. I know that sounds strange but whenever I’ve tasted in a blind tasting the Shiraz bracket is always the largest and always the most consistent and I believe it is the imperfect things in life that make for the most interesting objects. What I’m trying to say is that if a winemaker has good Shiraz fruit than that translates into a good wine but because of this a lot of winemakers use minimal winemaking techniques when handling Shiraz which means the winemakers personality does not shine through when we are presented with a finished product. The other reason why I don’t drink a whole lot of Shiraz is that it’s just so popular and I am known to pull against the tides of popularity. For example you will never catch me reading the Girl with the Dragon Tattoo or watching Harry Potter movies. The great thing about Shiraz is that it’s so expressive. It displays the characters of where it is grown without even trying. This is what I had in my head when I tried the Clonakilla Hilltops Shiraz. Typically a Hilltops Shiraz shows vibrant blueberry characters and white pepper. This what was I was expecting with the Clonakilla but found it far more complex and brooding than anything I’ve come across from this region before. Tasting note: A nose of vanilla, blueberry and white pepper. The palate is a brooding mix of blackberry, blueberry, white pepper, rich chocolate and a nice flint like character. The soft tannins give this wine a silky mouth-feel. Final Say: I let this wine decant for 6 hours before drinking just because of its youth but the nose was very expressive even when I first opened the bottle. It sells for around $28 a bottle and will make a great addition to the cellar. I’m a big fan of this Canberra based producer and they keep kicking some great goals.